The BLCSLED Series includes 2’, 3’, 4’ and 8’ covered LED strip lights designed to replace fluorescent strip lighting. 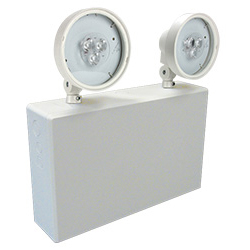 The BLCSLED Series delivers general ambient lighting in a variety of indoor settings, including schools, hospitals and stores, and is the perfect choice for both new construction and retrofits. This high-efficacy, DesignLights Consortium® (DLC) PREMIUM Qualified luminaire provides long-life, uniform illumination and standard 0-10VDC dimming capability. The high-performance LASP LED center basket luminaire is available in 2’ x 2’ and 2’ x 4’ sizes and offers up to 140 LPW to maximize energy savings and utility rebates. 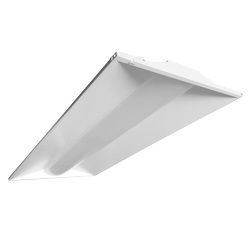 The LASP is designed to deliver general ambient lighting in a variety of indoor settings, including schools, offices, hospitals and stores, and is the perfect choice for both new construction and retrofits. 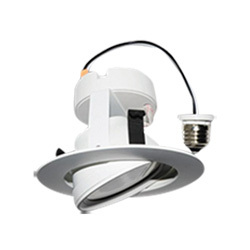 This high-efficacy luminaire provides long-life, uniform illumination, standard 0-10VDC dimming capability as well as egress lighting, thus making it the ideal choice for your troffer lighting needs. 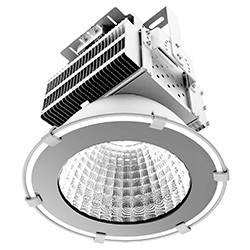 The BRK-LED4-GR-ECO Series 4" gimbal trim with integrated LED light engine is designed to fit most standard 4" recessed housings making it ideal for remodel or new construction applications. 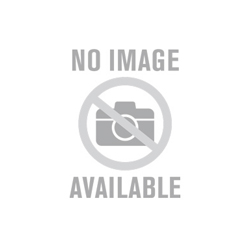 The UC Series under cabinet lighting provides uniform, efficient illumination. The UC Series is an ideal task light and its slim design fits unnoticed under cabinets and shelving. 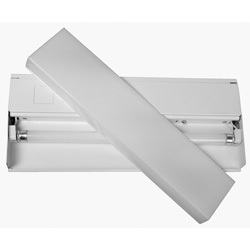 BLCSLED Series 2-8' Covered Strips, Steel, 20-65W, 2432-8645 Lumens/nThe BLCSLED Series includes 2’, 3’, 4’ and 8’ covered LED strip lights designed to replace fluorescent strip lighting. 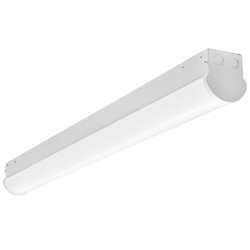 The BLCSLED Series delivers general ambient lighting in a variety of indoor settings, including schools, hospitals and stores, and is the perfect choice for both new construction and retrofits. This high-efficacy, DesignLights Consortium® (DLC) PREMIUM Qualified luminaire provides long-life, uniform illumination and standard 0-10VDC dimming capability.